Continue adding roses. 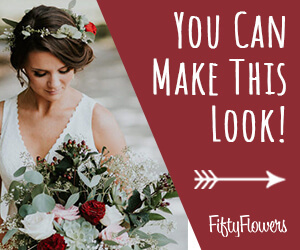 You will eventually add a rose into the center of the bouquet, but you need more stems first. 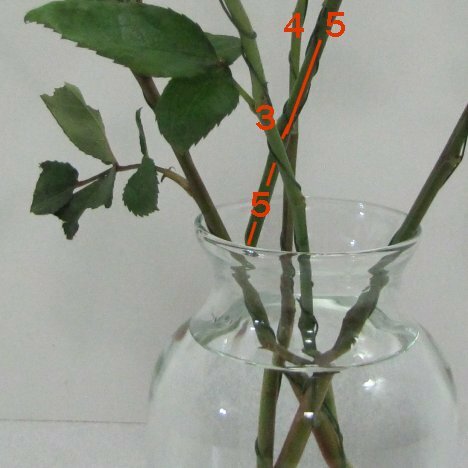 You can cut these roses slightly shorter, since the flowers are going to begin to ride higher because of the stems already in the vase. 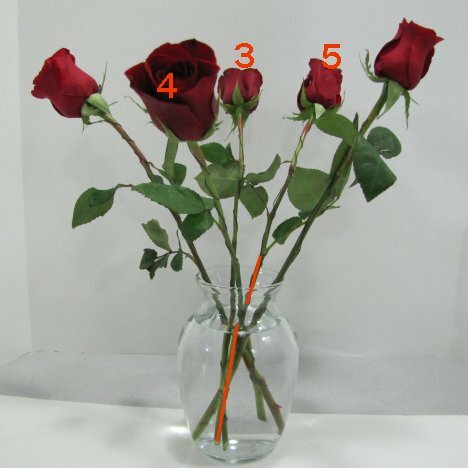 The fifth rose slips in between rose three and four. 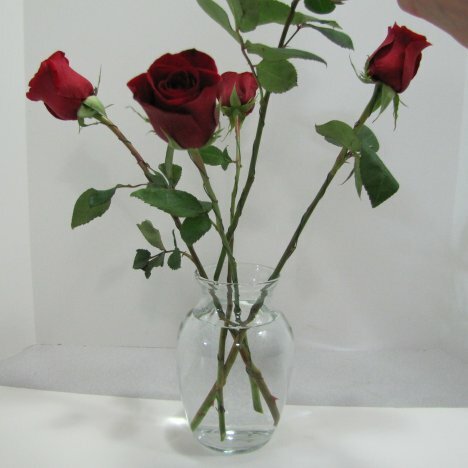 Insert each new rose in between the roses already in the vase. The fifth rose slipped in between three and four. Keep in mind this doesn't have to be perfect or exactly the way I did it, but the goal is to insert as many of the early roses as possible, interlocking them with the other roses already in the vase. I do it this way out of habit over and over again. 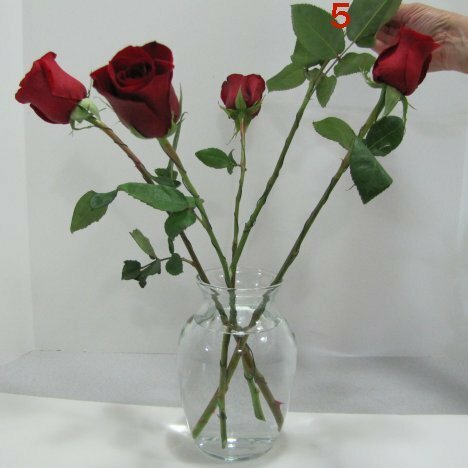 You'll begin to see how the stems are interlocking the flower stems and how they are beginning to be supported higher on the sides of the vase. 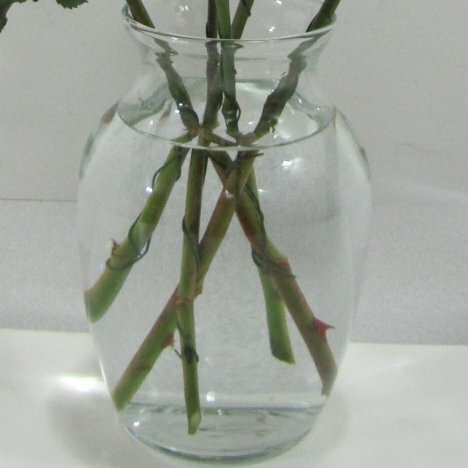 Sorry - the water distorts the view with the curve of the vase and it's hard to see each stem's exact placement.